Feeling like your windowless bathroom is a little boxed in? Here are some tricks designers use to brighten up your bathroom blues! White is the best way to reflect light through a space. It's even more powerful than a mirror. White will also make your space feel more fresh and airy! Learn to love glass and lucite. Polished metals, glass, mirrors, and lucite are great materials for adding interest and drama without absorbing light. Lucite accessories are particularly useful for the functional items you need on the counter; they feel like they take up less space, therefore making everything feel less cluttered. Mirrors in unexpected places really help to expand the space, especially near the ground. Try a full-length floor to ceiling mirror - you won't believe the difference! A floating vanity is the perfect fixture for a small windowless bathroom. They are sleek and simplistic and create the illusion of space. Do you guys have any tricks or tips for decorating small spaces? Comment below! I thought it might be a cool idea to do a gift guide for people who are looking for home decor - whether you’re shopping for yourself, a family member, or your friend the decorator, there is definitely something on this list for everyone! This gift guide features Wayfair, Indigo, Anthropologie, Lulu&Georgia, CB2, & Nordstrom - all brands I chose based on accessibility this close to Christmas! Also, I did check these items this morning and some of them are on sale so they’re worth taking a look at if there’s something you’re interested in! Check out the Home Decor Gift Guide below! Let me know if you found this helpful or if there’s other gift guides you would like to see on the blog! Comment below! So in honour of my birthday, here is the first Christmas blog for the year! Anyone who knows me knows that I am the biggest lover of Christmas! It’s my favorite time of the year! 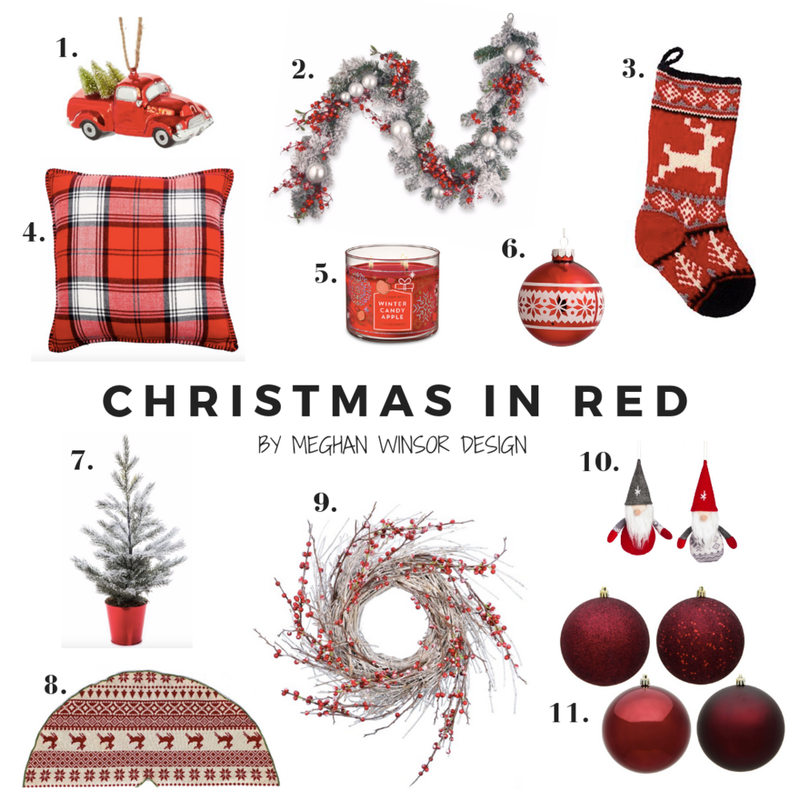 So I’m super excited to share all my favourite red Christmas decorations this year! Red is the most classic Christmas colour and I can never get enough of it during this time of the year! It’s the colour of our beloved Santa Claus and it adds a touch of coziness to any space! So I did some research and put together items that I believe can be used in any style of Christmas decorating! These decorations cover everything from pillows to wreaths so there’s something for everyone! Let’s bring on the joy and spread some Christmas spirit! It’s time to decorate! What are your favorite Christmas decor shops? Let me know below!